I am satisfied with Flexasure. Ever since Gioia (my 13 years old puddle) takes it she jumps like a little goat! Thanks Raffaella. I am satisfied with the product since since my thirteen years old dog takes it he is agile and walks as well as before ; I have her take the arthridia in cycles as well. 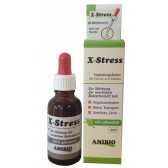 Does not cause any gastric disconfort and my dogs immediately benefited from it. If you want more detailed information about this product, please search over the web for the manufacturers official page by inserting "Natural Wonder Pets FlexaSure" or contact our customer service. Shake well before use and add to food. For best results use with Arthridia. Distilled water, hyaluronic acid, methylsulfonylmethane (MSM, vegetable), Chinese Skullcap, Stevia, citric acid. Enhances the range of movement and it is not a medicine. Still pricey but for my dog I don't mind making a sacrifice.